Click "Sponsor Now" to add William Wario Kosi Moyale Kenya to your order. Sponsor William Kosi. Sponsorship provides these indigenous missionaries much needed funds to continue the work the Lord Jesus has called them to do. Please partner with William today. William's ministry is based in Moyale, Kenya and he is partnered with brother Joshua. His evangelism takes him all over Kenya preaching in an area that has 90%+ muslim population. He also preaches in other countries in Africa including Ethopia and Uganda. His understanding of repentance and the command to walk Holy is in line with GMFC's beliefs and thew bible. His obedience to Jesus as he travels and preaches on the streets is an example everyone should follow. William was born in a family of 7 siblings. He was saved in 2001 and God called him to work for the Kingdom. In 2003, God gave him a vision of Evangelism to seek for lost souls, to plant churches, and to care for children (Orphans). William graduated from Gospel Garden Bible College Limuru, Nairobi Kenya. 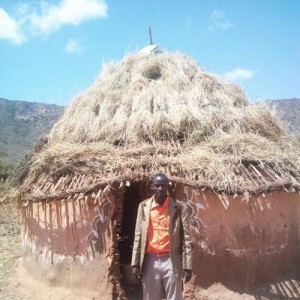 In 2004, God sent William to Dukale, the Eastern part of Kenya. He evangelized and many souls came to Jesus. That led to him help planting churches there since 2010. William goes on mission outreaches weekly to seek for lost souls in every corner of the Nations. He is so grateful to be partnered with a CHRIST centered, biblically sound ministry like GMFC and is eager as he sacrifices everything to share the true Gospel of Jesus to the people of Kenya and beyond.